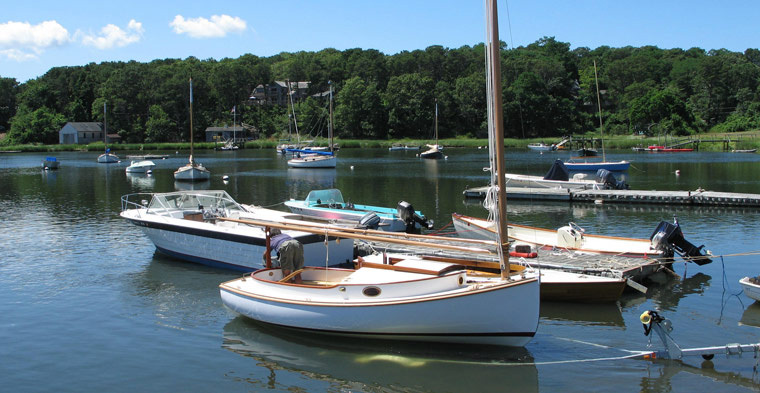 Pleasant Bay Boat and Spar Company has a proven track record for custom design and building, providing expert guidance and project management. Our goal is to provide a collaborative and creative partnership with the customer, with the emphasis on communication. 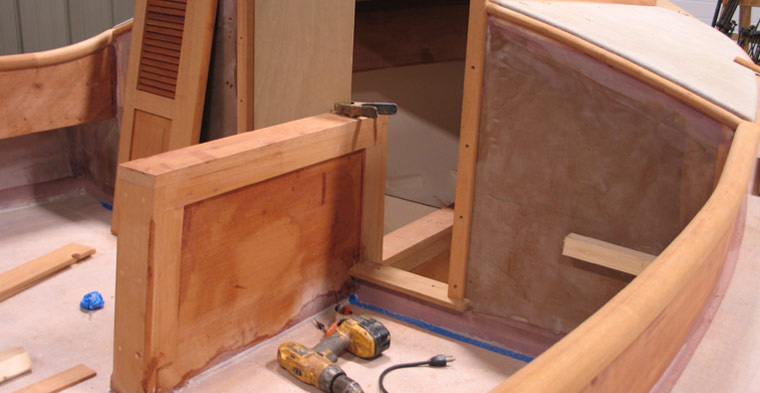 The end product must exemplify and exceed the customer's original vision and expectations within budget and on schedule and meet our highest standards of craftsmanship. 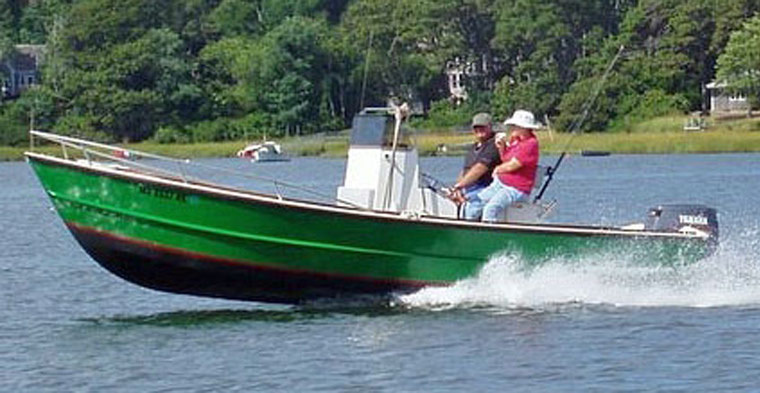 We specialize in catboats, sloops and skiffs. 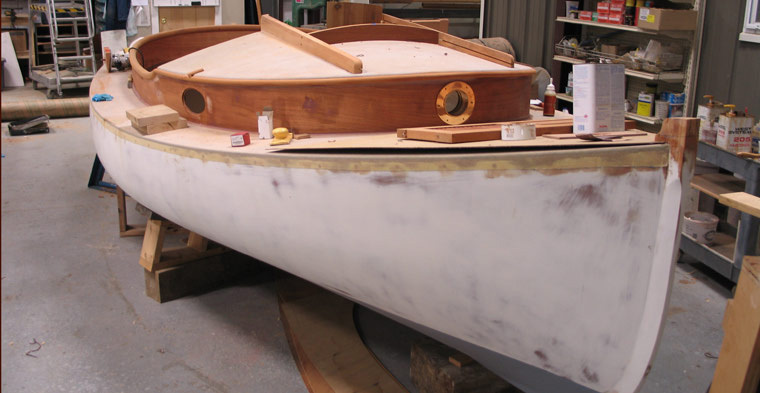 We can work with existing plans or help you create the boat of your dreams working with our design services. 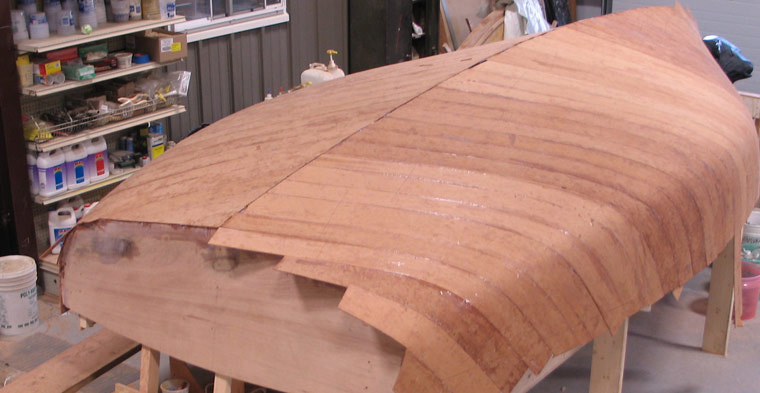 Our custom building is typically strip planked and cold molded construction. 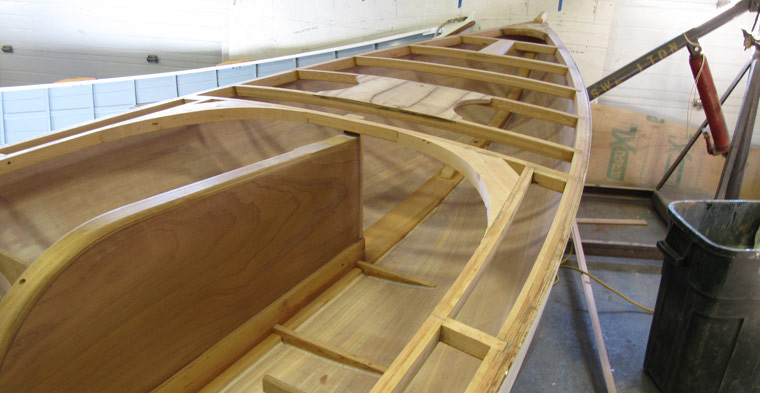 This method allows for a strong but light hull, with all other components constructed and framed in a traditional manner. 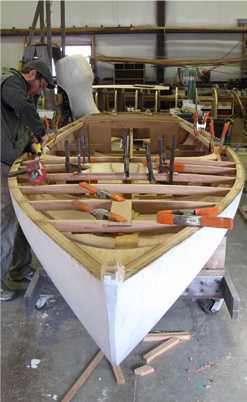 We can also build in traditional plank on frame construction. 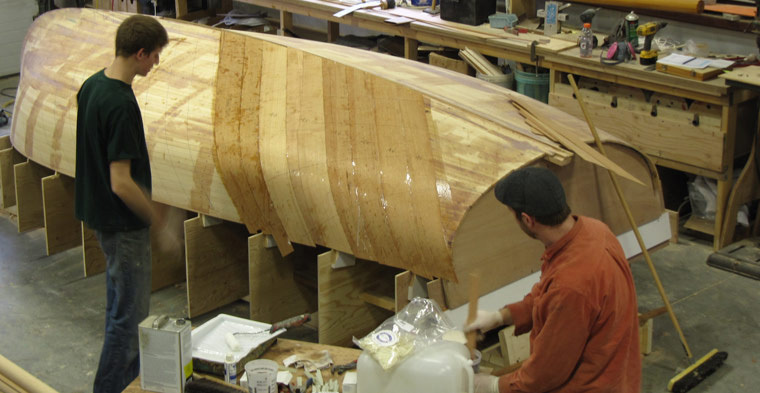 Our shop specializes in spars and rigging, with our own focus on gaff rigs, guaranteeing that your custom boat will have one of the world's most beautifully crafted and engineered wooden spars rigged to state of the art or traditional standards: your choice. Contact Suzanne Leahy to discuss your dream boat. 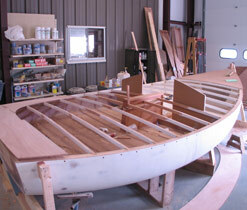 Currently in the shop: a custom designed cold molded 20 foot catboat under construction for Mike and Susan Cranmer. Launch date is set for June 2014. Visit our blog to learn more about this project and see more photos on Facebook.